nglccNY is pleased to announce a new way for our members to pursue business opportunities that also benefit the elder LGBTQ population. 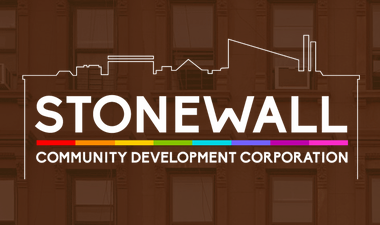 Our new nonprofit partner Stonewall Community Development Corporation (SCDC) is spearheading Stonewall Village NYC, a virtual community to support older LGBTQ people in New York City and their allies with: education about the challenges LGBTQ seniors face in housing; access to LGBT-welcoming housing opportunities; referrals to LGBTQ-competent programs and services; self-directed socialization to end isolation; community empowerment and more, all created and administered by people who understand the needs of LGBTQ older adults. The site will list vendors who have earned credentials that qualify them as LGBTQ-friendly. This directory will include repair, personal service and health, and mental health providers. By creating a standard of respect from vendors and providing a market incentive to meet that standard, the community is empowering itself and supporting the local LGBTQ economy. 78% of LGBTQ adults and their friends, family, and relatives would switch to brands that are known to be LGBT-friendly. LGBT consumers are a source of word-of-mouth marketing for brands. Gay men (64%) and women (65%) agreed that when they find a brand they like, they are likely to make a point of telling their friends about it. That's well above the average of all U.S. consumers. If you’re interested in learning more about the benefits of credentialing and being listed in the Stonewall Village NYC directory, click here or email SLeshaw@StonewallCDC.org.